You never get a second chance to make a first impression. You may also never get a second chance to preserve your freedom if faced with criminal or DUI charges. If you are currently facing criminal charges, contact the law offices of John W. Callahan to protect you, your rights and your freedom. Our office provides 24-hour phone coverage to handle your inquiries regardless of the hour. Every citizen has the right to have an attorney present during communications with authorities and you are no exception. We welcome the opportunity to discuss your case with you and working with you to insure a successful tomorrow. We have achieved not guilty verdicts or a dismissal of charges in cases such as murder, armed robbery, aggravated criminal sexual abuse, aggravated battery, possession with the intent to deliver kilogram quantities of controlled substances and other major criminal charges. 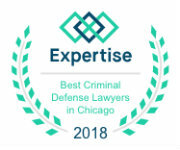 Attorney John W. Callahan handles cases throughout the entire Chicago area, including Schaumburg, Naperville, Hoffman Estates, Des Plaines, Wheaton, Oak Brook, Elmhurst, Addison, Lisle, Oak Park, Tinley Park, Barrington, Arlington Heights, Park Ridge and Skokie. Put our legal experience and knowledge in your corner to fight and win your battles. You need the law offices of John W. Callahan to help you resolve your legal battles. 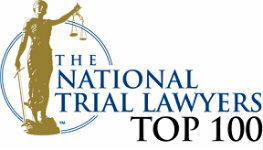 If you are in need of legal assistance, do not hesitate to call our offices for a free consultation. We possess the knowledge, experience and game plan necessary to protect you and your freedom. You will not get the opportunity for a second chance. We invite you to review our credentials, the results we have obtained, and some common questions about criminal law. We encourage you to contact us right away. At John W. Callahan, Ltd., you will receive the experienced, aggressive representation you need to overcome criminal charges. I hope you will accept this small token of my appreciation for all of your time, hard work and talent concerning J. 's case. I was truly amazed. I have never experienced anything quite like that and I hope I will never again personally. It is a great relief to have that behind us.